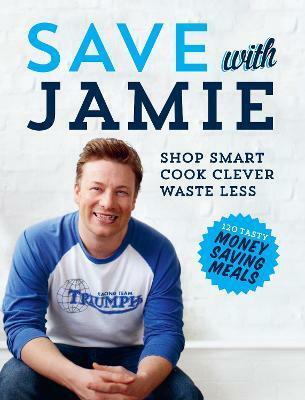 Save with Jamie will help you make better choices in the kitchen, showing you how to buy economically and efficiently, get the most out of your ingredients, save time and prevent food waste. And there's no compromise - we're talking big flavours, comfort food that makes you happy, and colourful, optimistic dishes. Enjoy delicious dishes that won't break the bank, including Sweet and Spicy Beef Tagine, Slow-Roasted Pork Ragu, crispy Salmon Tacos and Chicken and Spinach Cannelloni. With Jamie's bonus chapter on dishes for GBP1 a serving, you're guaranteed to eat well for less. Our biggest luxury is knowledge, whether times are hard or not, so get kitchen smart.